It’s the biggest news in a generation for conservation in the Amargosa Basin. 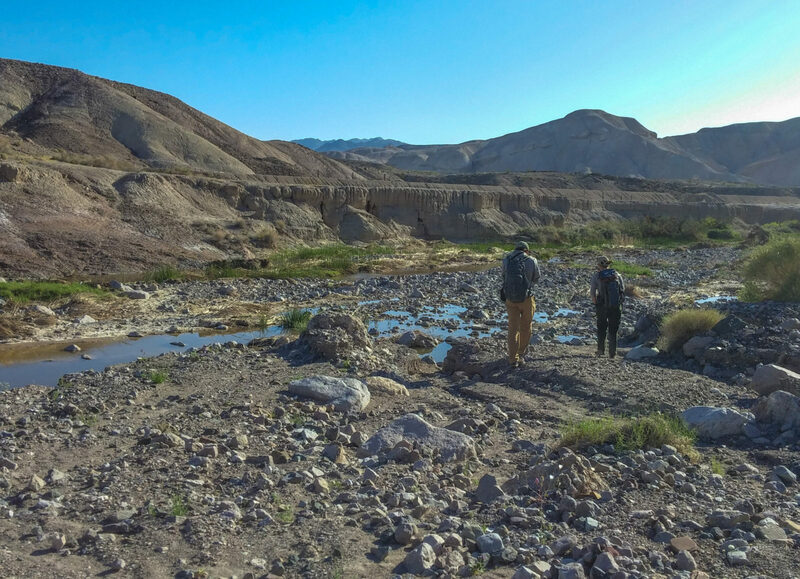 On September 14th, Secretary Jewell announced the permanent protection of over 600,000 acres of land in the Amargosa River watershed. These protections will mean that in sum, nearly every acre of this irreplaceable landscape is under conservation. These protections are a part of the Desert Renewable Energy and Conservation Plan (DRECP). This is a sweeping land-use plan amendment by BLM intended to facilitate renewable energy development while conserving vast swaths of the California desert, some 2.8 million acres in total. These new California Desert National Conservation Lands usher in a remarkable new era of land management in the desert, providing wildlife connectivity and landscape-level conservation. The Amargosa Basin is a region comprised of numerous valleys which feed into the Amargosa River, the only free flowing river in the Mojave Desert. Rugged multi-colored cliffs, extensive and seemingly barren alkali flats, and deeply incised canyons are tied together by a ribbon of green, abundant life running along the River’s corridor. The DRECP is not the first significant land protection victory in the Amargosa Basin – the California Desert Protection Act of 1994 designated hundreds of thousands of acres of federally managed Wilderness, and in 2009, a 25 mile stretch of the Amargosa River was protected as Wild and Scenic. What makes the DRECP revolutionary, however, is that it is protecting the spaces in between those areas. By tying together the landscape in a contiguous swath of preserved public land, the DRECP will ensure that the integrity of the Amargosa Basin remains intact for future generations. 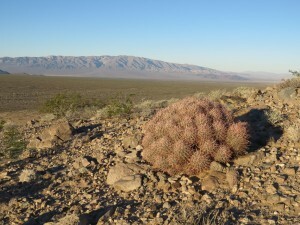 The designation of the California Desert Conservation Lands in the Amargosa Basin is of particular importance for local businesses in the area. The economies of Death Valley Junction, Shoshone, and Tecopa are entirely reliant on a steady flow of tourists who visit the area. From birdwatchers to hikers to hot spring-ers to OHV enthusiasts, over a million visitors a year pass through the Amargosa. This sustains jobs for local residents and fuels the boom that has seen a 50% increase in local businesses over the past five years. 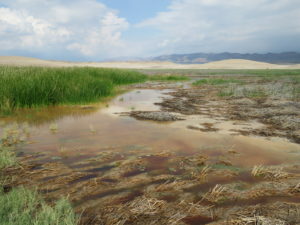 The extensive network of wetlands surrounding Tecopa, California, is one of the most special places to be preserved as California Desert Conservation Lands. These rich, groundwater-fed marshes are home to hundreds of migratory and resident bird populations, making them one of the best birdwatching destinations in the entire Southwestern United States. Additionally, the extensive thickets of three-square bulrush are home to the critically endangered Amargosa vole, a small rodent whose population hovered just above extinction-level, until a multi-agency group (including BLM and the Amargosa Conservancy) launched into action to save it. Protection through the DRECP will ensure that the vole’s habitat is preserved forever. “The BLM has taken an important step toward the recovery of the Amargosa vole by permanently protecting its habitat. Our collaborative efforts to save this critically endangered rodent can only succeed if it has a place to live, and the designation of its habitat as California Desert Conservation Lands increases the chances of the vole’s long-term survival,” said UC Davis Professor and vole biologist Dr. Janet Foley. This iconic desert valley south of the Amargosa River became a flashpoint in the debate over industrial-scale renewable energy development, as a now-jettisoned proposed wind/solar facility there threatened the ecological and cultural integrity of the Amargosa Basin. Silurian Valley features some of the best and most intact cultural remains in the desert, as its dry lake beds once were full of water and the site of extensive paleo-Indian villages. An unforgettable ribbon of green in one of the most arid places in the world, Willow Creek is perhaps the most important tributary of the Amargosa River. Fed by perennially flowing sweetwater springs, Willow Creek is home to a variety of wildlife, and is a very popular destination for tourists and hikers.